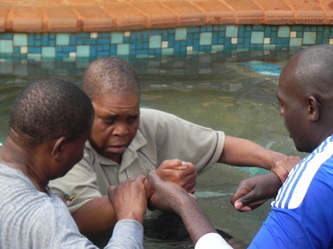 Water baptism in Louis Trichardt: "a believer going into the water about to be baptised" - 05 Nov 2011. "Click on any of the images on this page to listen to (or to download) an mp3 audio of a water baptism counselling session". Rev S Mametsa baptising a believer on 05 November 2011 at Louis Trichardt. Salvation starts when you believe in your heart that Jesus is the son of the living God. You confess with your own mouth that Jesus is Lord and believe in your heart that God raised Him from the dead, then you will be saved. 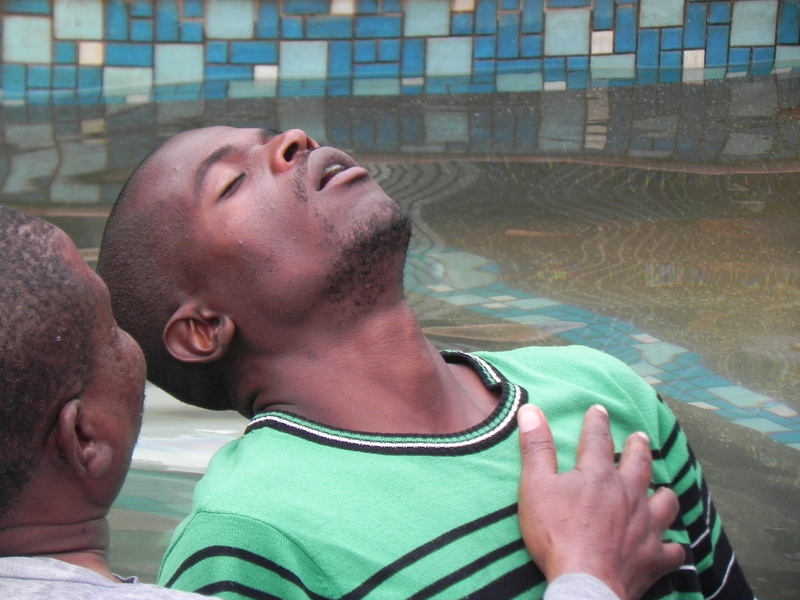 The bible states: “9 That if you confess with your mouth, "Jesus is Lord," and believe in your heart that God raised him from the dead, you will be saved. 10 For it is with your heart that you believe and are justified, and it is with your mouth that you confess and are saved.” Romans 10:9-10, NIV. 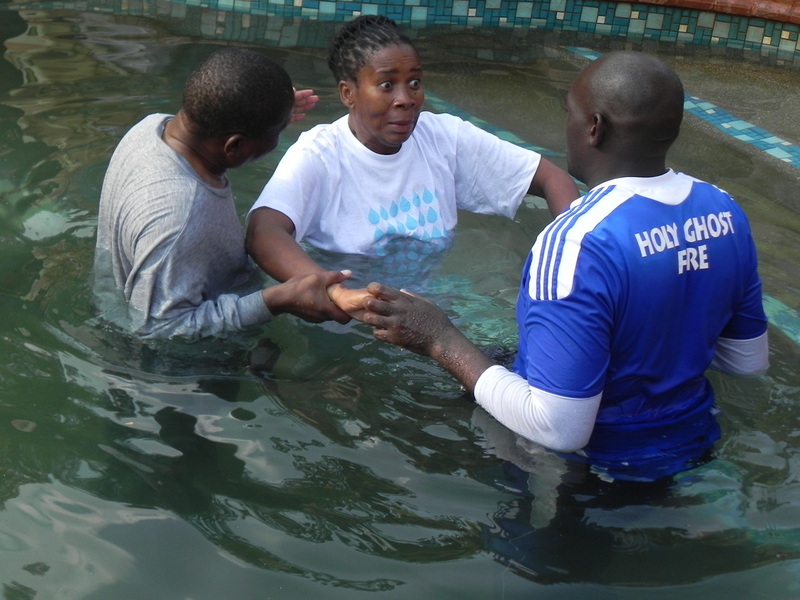 This is the beginning of becoming a true Christian who will be properly disciple. The next step is WATER BAPTISM where a believer is immersed completely under the water according to Romans 6:3-4: which states: “3 Or don't you know that all of us who were baptized into Christ Jesus were baptized into his death? 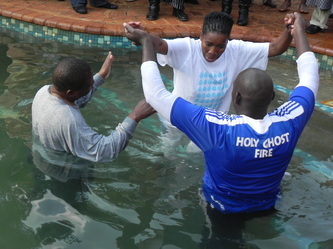 4 We were therefore buried with him through baptism into death in order that, just as Christ was raised from the dead through the glory of the Father, we too may live a new life.” NIV. 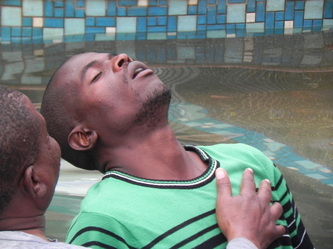 The believer dies with Jesus Christ and is then resurrected with Him. 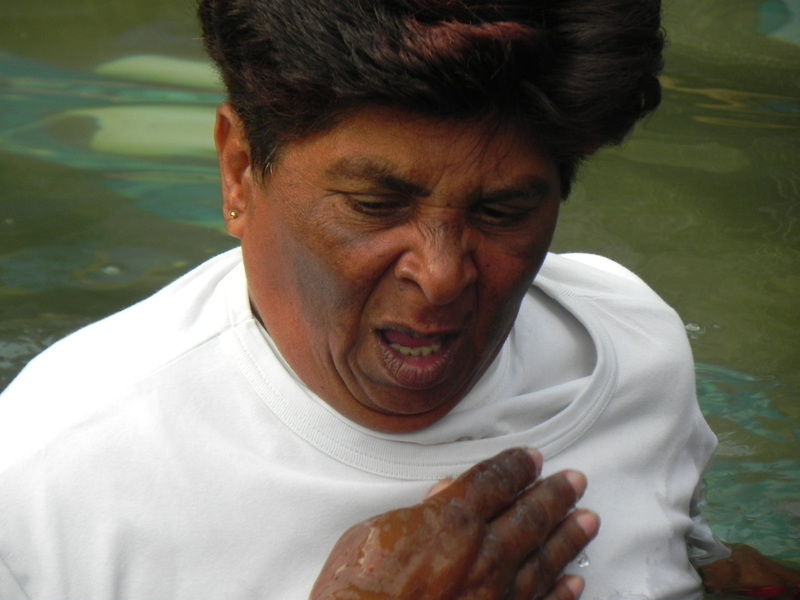 THE SPIRIT: As soon as Jesus came out of the water, whilst being baptised by John in The Jordan River, John the Baptist saw the Spirit of the Lord, coming down like a dove. 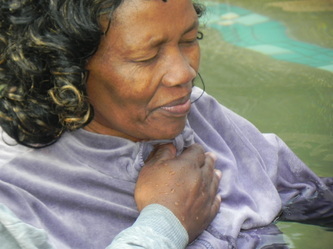 Matthew 3:16-17 reads “16 And when Jesus was baptized, He went up at once out of the water; and behold, the heavens were opened, and he [John] saw the Spirit of God descending like a dove and alighting on Him. 17 And behold, a voice from heaven said, This is My Son, My Beloved, in Whom I delight! [Ps 2:7; Isa 42:1. ]” AMP. 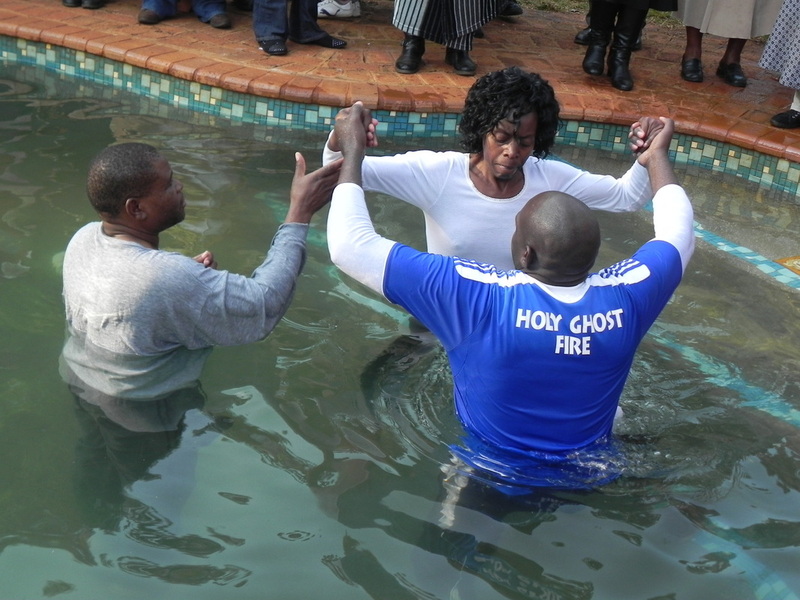 This means that when any believer is being baptised, the same Spirit must come upon that believer when they come our from under the water. It is this very same Spirit that will change the life of that person and guide the person. Jesus was baptised so that Christians can also do the same. The Spirit is important as we see in the following scriptures: “8 But you shall receive power (ability, efficiency, and might) when the Holy Spirit has come upon you, and you shall be My witnesses in Jerusalem and all Judea and Samaria and to the ends (the very bounds) of the earth.” Acts 1:8, AMP. Acts 2:1-4: “1 AND WHEN the day of Pentecost had fully come, they were all assembled together in one place, 2 When suddenly there came a sound from heaven like the rushing of a violent tempest blast, and it filled the whole house in which they were sitting. 3 And there appeared to them tongues resembling fire, which were separated and distributed and which settled on each one of them. 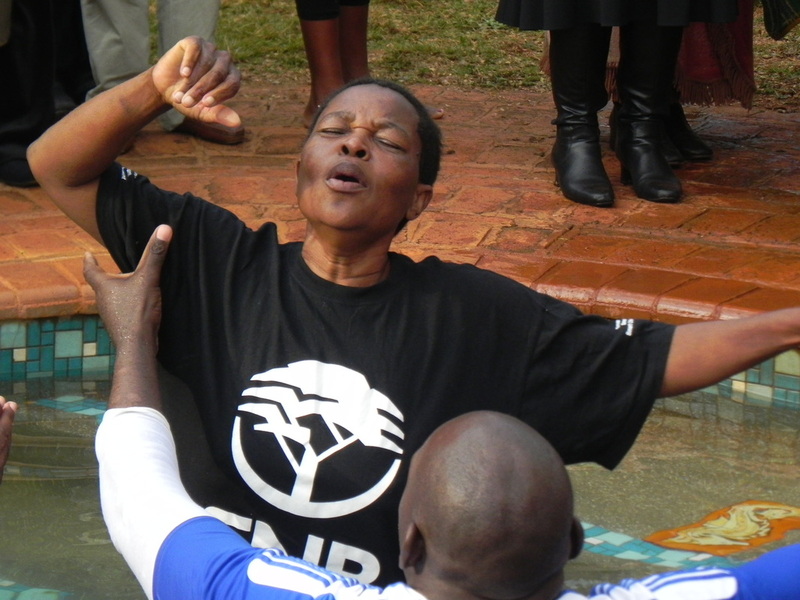 4 And they were all filled (diffused throughout their souls) with the Holy Spirit and began to speak in other (different, foreign) languages (tongues), as the Spirit kept giving them clear and loud expression [in each tongue in appropriate words].” AMP. 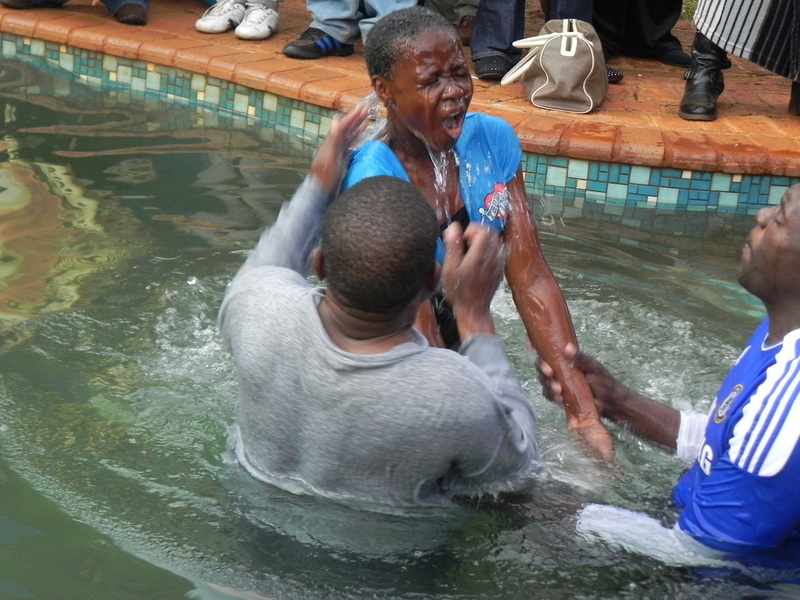 THE BLOOD: As Christians, we need to partake of the blood of Jesus Christ through Holy Communion. Partaking of the Holy Communion is a symbol of a person being a true worshipper of the Lord:”9 And he took bread, gave thanks and broke it, and gave it to them, saying, "This is my body given for you; do this in remembrance of me." 20 In the same way, after the supper he took the cup, saying, "This cup is the new covenant in my blood, which is poured out for you. “ Luke 22:19-20, NIV. When we drink the blood of Jesus Christ (the Holy Communion), we are drinking life. The bible says in Lev 17:11: “11 For the life of a creature is in the blood, and I have given it to you to make atonement for yourselves on the altar; it is the blood that makes atonement for one's life.”NIV. The blood of Jesus is more powerful than any other blood. It has no spot. 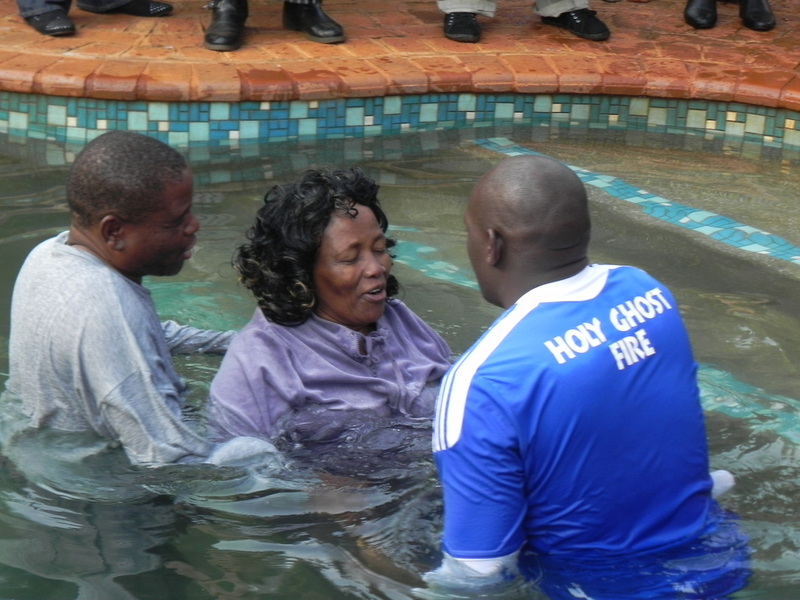 It is important to partake of Holy Communion because there is deliverance in Holy Communion. 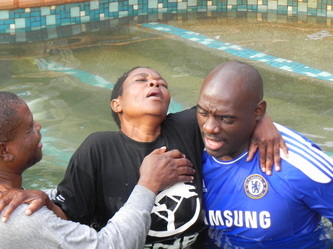 Sicknesses and diseases cannot stand a chance in the body that is partaking of the body and the blood of Jesus Christ. The book of 1 John 5:6-8 states: “6 This is He Who came by (with) water and blood [His baptism and His death], Jesus Christ (the Messiah) — not by (in) the water only, but by (in) the water and the blood. And it is the [Holy] Spirit Who bears witness, because the [Holy] Spirit is the Truth. 7 So there are three witnesses in heaven: the Father, the Word and the Holy Spirit, and these three are One; 8 and there are three witnesses on the earth: the Spirit, the water, and the blood; and these three agree [are in unison; their testimony coincides].” AMP. 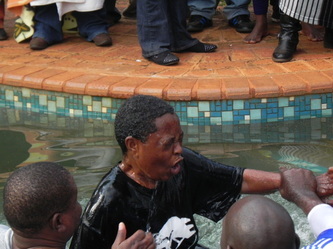 The last step of completing salvation is the BAPTISM OF FIRE. 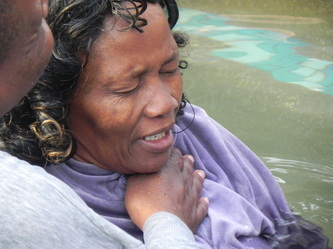 Remember the words of John the Baptist: “11 I indeed baptize you in (with) water because of repentance [that is, because of your changing your minds for the better, heartily amending your ways, with abhorrence of your past sins]. But He Who is coming after me is mightier than I, Whose sandals I am not worthy or fit to take off or carry; He will baptize you with the Holy Spirit and with fire. 12 His winnowing fan (shovel, fork) is in His hand, and He will thoroughly clear out and clean His threshing floor and gather and store His wheat in His barn, but the chaff He will burn up with fire that cannot be put out.” Matt 3:11-12, AMP. Those who have completed salvation are regarded as wheat. A believer coming out of the water - so much struggle and fight (the last kick of a dying horse because the old person died in the water and so must all the evil and contrary spirits.) 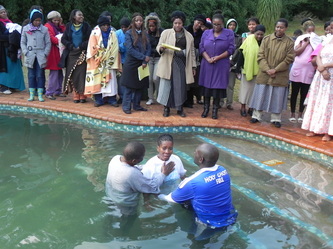 05 November 2011.
to make sure that you are never baptised or that if you are, you are not baptised properly. When you come out of the water the baptised must see the Holy Spirit coming upon you and he/she must confirm that any evil spirits in you are completely cast out when you come out. 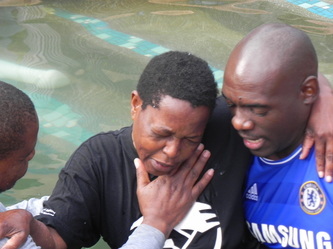 After baptism you must become a "new creation'" and it must show in your life by the way that you will live: abandoning the old you and manifesting the new creation. 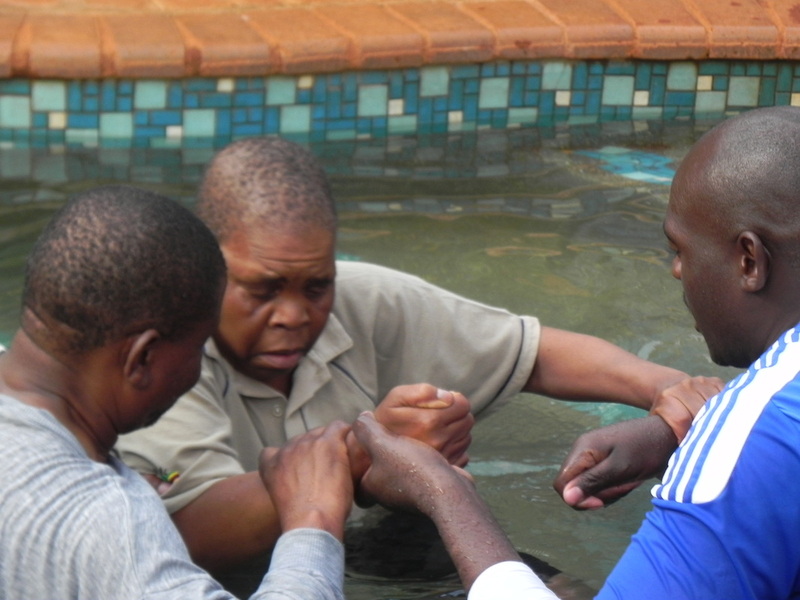 Water Baptism: Rev Mametsa busy observing the Holy Spirit coming upon the believer on coming out of the water.